BSc in Molecular Biochemistry at the Technion. MSc in Chemistry at the Technion. PhD in the University of Basel, Switzerland, 2017. Specialty: Analytical and Bioanalytical Sciences, in the group of Prof. Peter Hauser. In his PhD, Yoel investigated new ways for lowering the detection limit in capillary electrophoresis, in order to detect trace amounts of ions in water samples. 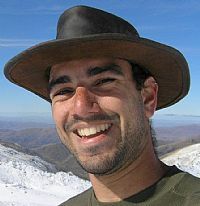 In order to accomplish that, Yoel built a software for controlling home-made scientific instruments – called Instrumentino. It aims to become the open-source alternative to LabView, for purpose-made lab equipment, and since its release, it started drawing attention from researchers all over the world. Participated in the Technion Excellence Program: March 2006- July 2010. Yoel took advanced courses from the first semester and in his second year, he started to tutor one of those courses. During his last semester Yoel started his M.Sc. in Chemistry. Yoel did a 3 months project in plants Molecular Biology in the Weizmann Institute of Science during his first degree. During his MSc studies, Yoel has published two papers (in Applied Physics Letters and Diamond and Related Materials) as a first author and another paper as a second author (in Physics Procedia). A complete list of Yoel's publications can be seen in his ResearchGate page. Today (2017): Works on an Israeli start-up called TinyInspektor.